So we've been sick with the flu this week. Very unpleasant. up and having tea parties. crazy with the hole punchers. so the middle region of cut slits popped out. 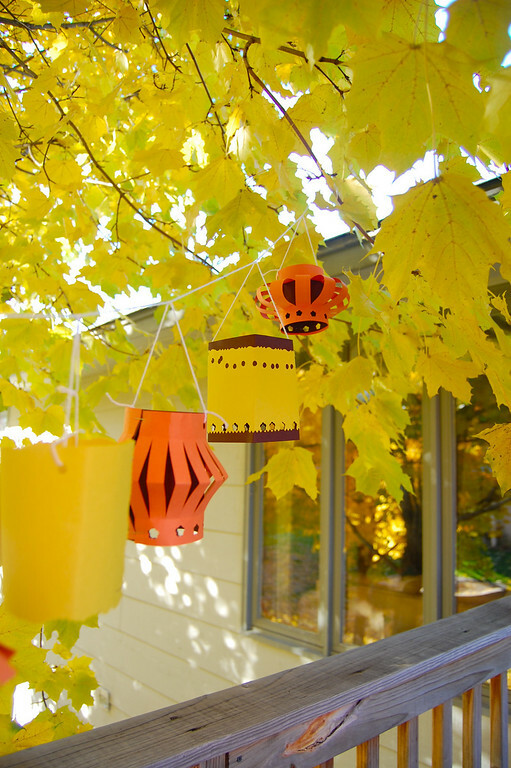 Construction Paper (black, yellow, orange). 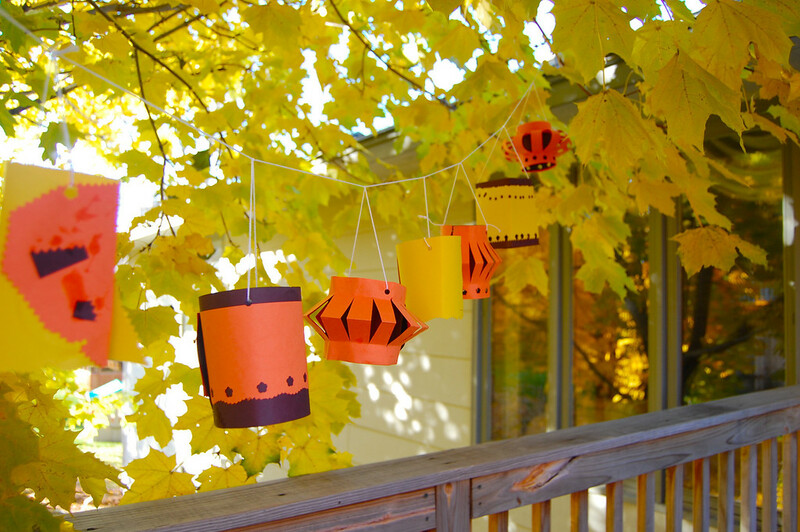 Very nice your lhalloween lanterns. 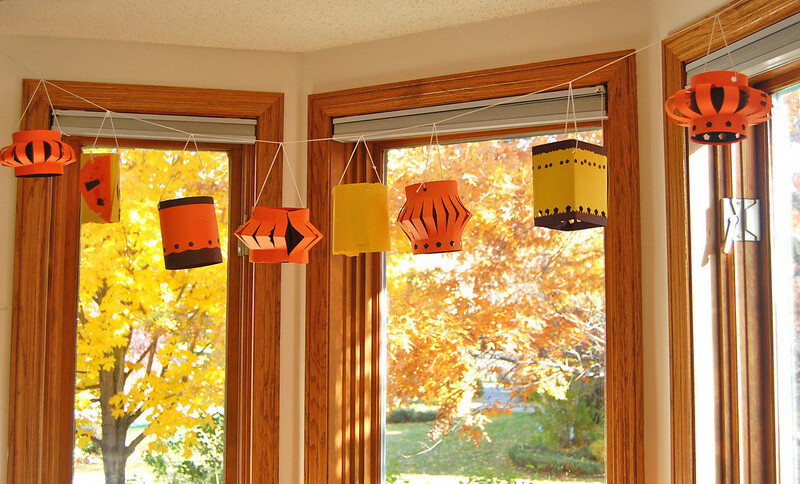 We're having a Halloween party tomorrow and these lanterns look just the job! Faster and easier than pumpkin carving. We are also making the costumes during the party as the craft activity ... which is an idea I skanked (english term meaning "plagiarism that won't get you sent down from university") from your awesome Hello Kitty party. 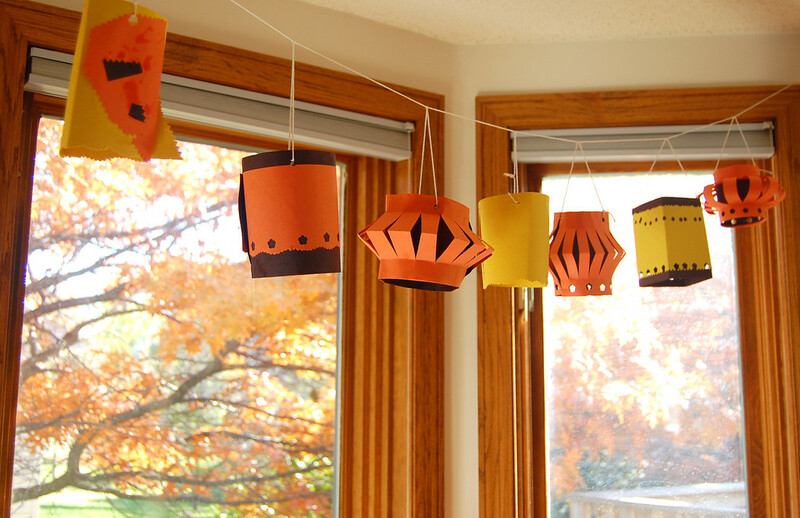 Lovely lanterns. I wonder if there's any chance I can convince my sick children that this is just as cool as trick or treating? I love this simple idea. Thank you for sharing. Giveaway Winners and Pattern For Sale!